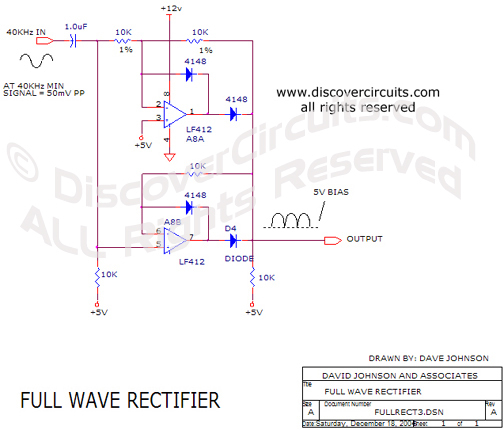 Circuit: Full Wave Rectifier__ Circuit designed by David A. Johnson, P.E. This is a classic circuit that can accurately convert an AC signal to DC. At 40KHz the input signal can be as low as 0.05 volts peak to peak.